Motorola Launches Moto G6 & G6 Play In India, Prices Start At Rs 13,999 & Rs 11,999 Respectively - AndroGuider | One Stop For The Techy You! Motorola launched the Moto G6, G6 Play, and G6 Plus in Brazil last month. The Lenovo owned company had said last month that it will be bringing the G6 Play and G6 to India, and today at an event in New Delhi, the company released the two smartphones in India. 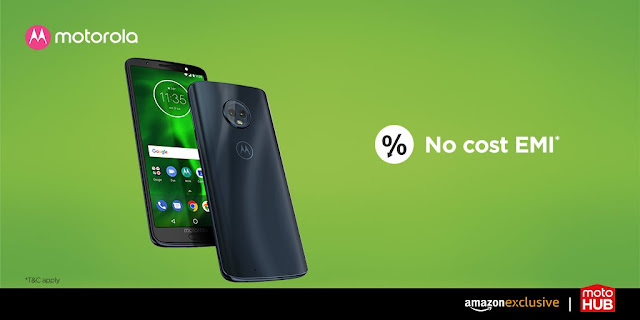 The Moto G6 Play will be available starting today from Amazon. The smartphone was launched in two variants in Brazil - one with 2GB RAM and 16GB storage, and other with 3GB RAM and 32GB storage. Motorola will only be selling the latter model in India. The 3GB + 32GB model is priced at Rs 11,999. The Moto G6 has been launched in two models. The 3GB RAM + 32GB storage Betsy will cost you Rs 13,999. The 4GB RAM and 64GB variant has a price tag of Rs 15,999 to it. The Moto G6 will be sold via Flipkart and it will go on sale from midnight today. 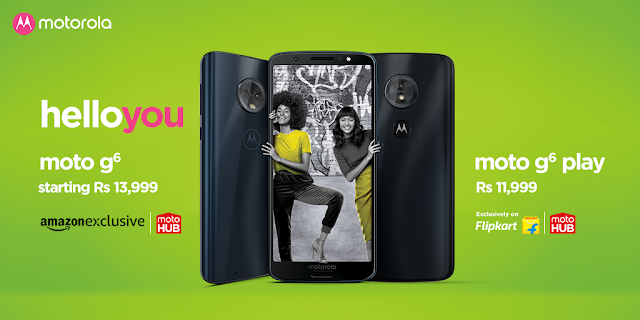 Both the smartphones will also be sold offline and can be bought from Moto Hub stores across the country. As a launch offer, Motorola is offering the G6 at no-cost EMI for up to nine months. The offer is valid until June 6. 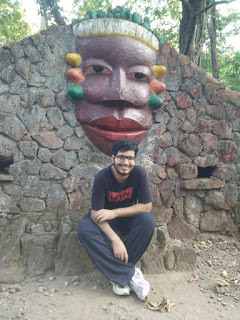 There is also a flat Rs 1,250 discount on purchase through HDFC Bank credit and debit cards. If you exchange your old phone for a G6, Amazon will offer you up to Rs 1,000 extra on the exchange price of the old phone. Additionally, Airtel postpaid consumers with plans of Rs 499 and above will get a one-year subscription of Amazon Prime for free. The launch offers for the G6 Play include a flat Rs 1,000 discount on purchase using ICICI credit and debit cards and extra Rs 1,500 on an exchange through Flipkart. Additionally, Flipkart is quoting a price of Rs 5,100 when the phone is exchanged for another one in the future. There are no-cost EMI options from Bajaj Finserv, and there is a 25% discount on Jio's Rs 198 plan. When either the G6 or G6 Play are purchased from Moto Hub stores using Paytm, the buyer will get a cashback of Rs 1,200 on mobile recharges.